If your small business caters to other business owners—what is known as B2B (Business to Business)—and you have been in business for a long time, then you are a direct witness to the way the B2B landscape has shifted with the introduction of the digital age. 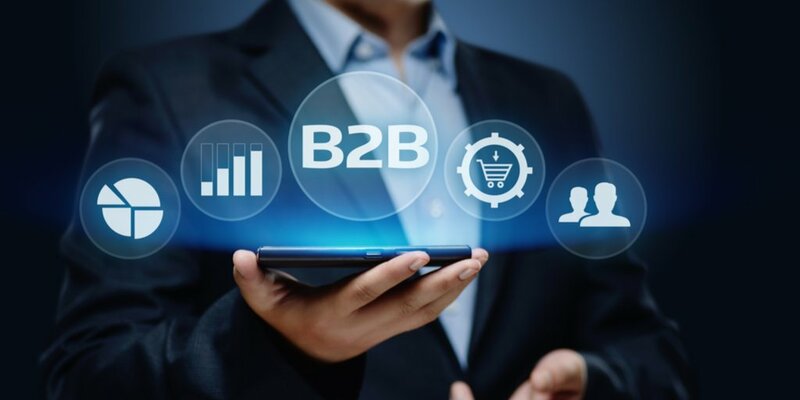 Where before your sales successes were made up of the traditional types of B2B sales strategies—such as direct mail, walk-in customers, cold calling, and meeting with prospective buyers—it has become imperative that you also have an e-commerce presence. There is no way around it: People, including your B2B clients, like shopping online. The article also discusses how pundits have been saying for decades that the internet would make salespeople obsolete, but Inc.com says the pundits had it all backward. Considering the above information, your salespeople can rest easy knowing their jobs are safe. They are not becoming obsolete; it’s just that their jobs are changing. Although your salespeople still have job security, it is imperative that they learn how to sell online. 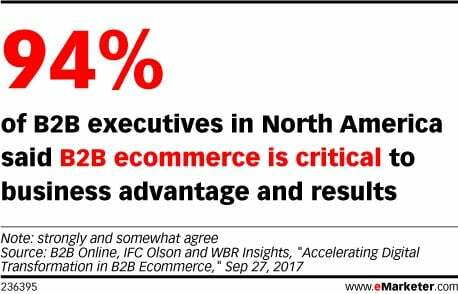 However, the fact still remains that to compete in today’s B2B sales environment—as well as stay afloat in the future of B2B sales—you MUST have an e-commerce presence. If you will notice, we did not say you need a website. We said you need an e-commerce presence. You can have an informational website and that is all fine and good—it puts you on the digital map so that when your potential customers want to find you, they can. But unless your B2B customers can purchase your product or service online, you aren’t selling anything but your good name and information about your product or service. That article from eMarketer.com also offers some great advice for business owners who are wondering how to get started creating an e-commerce presence. If you only have a brick-and-mortar store or are completely new to online B2B selling, we strongly suggest you read our blog post, Why Marketing (And Selling) Online Can Yield Big Returns for Brick and Mortar Stores. We also recommend that you do your research before you begin creating your e-commerce presence. Read the blogs of successful B2B companies in your niche. Notice what type of e-commerce presence they use. Listen to their podcasts, subscribe to their newsletters, and follow them on social media. By doing your homework in this way, you will be able to envision the perfect type of e-commerce presence for your particular business and create success from the start. Too many times, B2B companies make snap decisions, handing over the building of their e-commerce empire to the builder without understanding exactly what they need and instructing the builder on these specifications. Don’t leave the details of your new e-commerce presence or the future of B2B sales in the hands of anyone but yourself and your team. Another great place to do your homework if e-commerce and selling B2B online is completely new to you is by reading blog posts like this one, “Bridging the Gap Between Offline and Online Sales to Accelerate Your Business, Part 1.” In doing so, you can begin to understand the difference between the psychology of offline and online sales. It will help you plan out your strategy for your new e-commerce presence in a way that will supercharge the growth of your business.